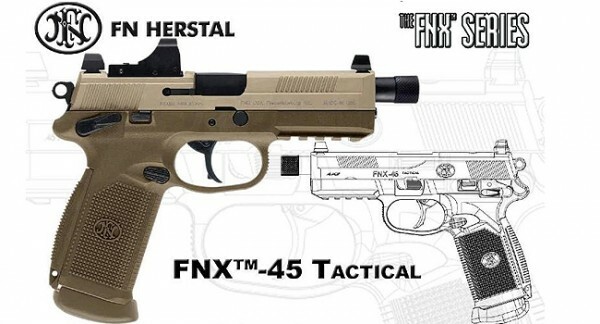 Improving on the FNP-45 Tactical, developed for the U.S. Joint Combat Pistol Program, the FNX-45 Tactical is the latest in technological advancements in handgun engineering, offering .45 ACP performance and a host of unique features that no other handgun can match. 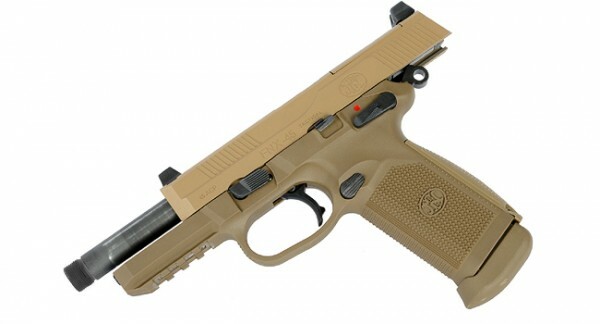 The checkered polymer frame is offered in Black and Flat Dark Earth and has a low-bore axis for reduced felt recoil and enhanced operator control. Interchangeable backstraps are available to quickly customize the grip feel. All operating controls are fully ambidextrous for ease of use. The 5.3" barrel has a 16mm CCW threaded muzzle to accept sound suppressors, compensators and other accessories. 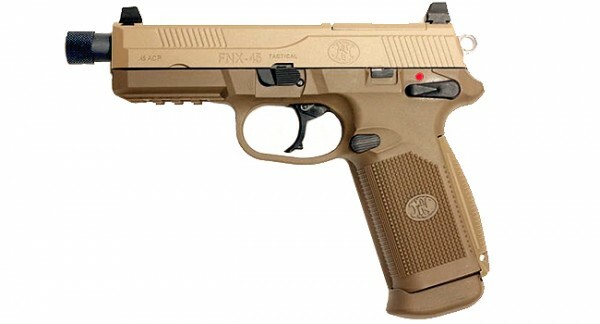 The slide has high-profile combat sights and includes two mounting bases to accept multiple styles of optional red-dot electronic sights.